Dagonet, most simply, is King Arthur’s court fool. Also called Daguenet, and often carrying an epithetical surname such as “the Fool” or “the Coward,” the character is perhaps most interesting in that he did not begin his fictional existence as a fool at all. Enid Welsford’s 1935 book, The Fool: His Social and Literary History, still the authority on the topic, discusses medieval fools in great detail from both an historical and a literary context, citing a staggering number of examples. Dagonet is never mentioned by Welsford. Through most of his early appearances, Dagonet was depicted as a knight who was foolish. 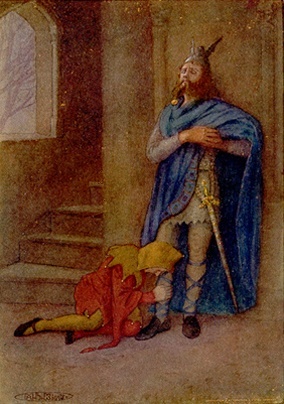 The character's modern interpretation, extending over a long literary afterlife, depicts Dagonet as a court fool who was knighted. This iteration of the character was first established by the Prose Tristan and later expanded by Malory.